Fancy a burger? 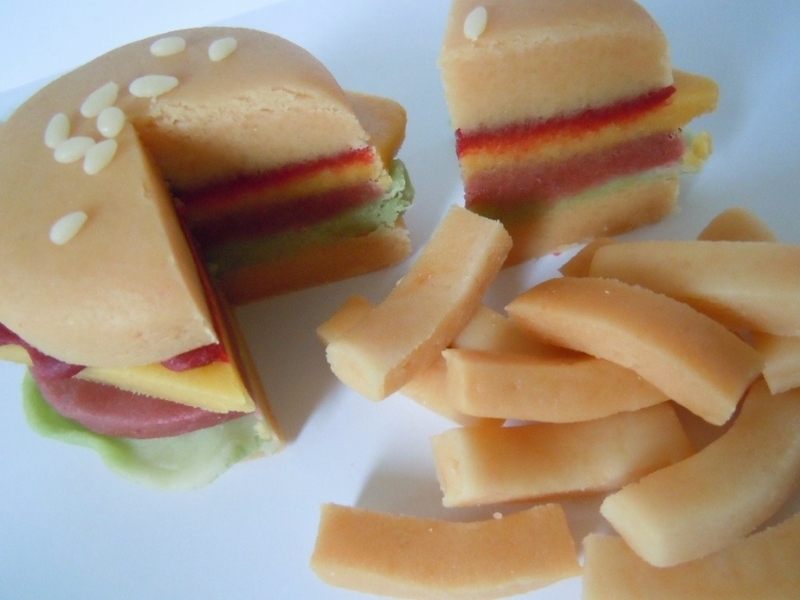 Send out for a Marzi-burger and chips made of 100% marzipan! 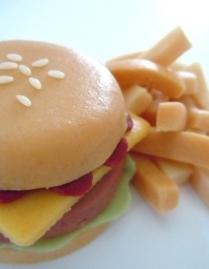 Complete with "cheese" and "ketchup", this is a fast food treat even vegetarians can enjoy. 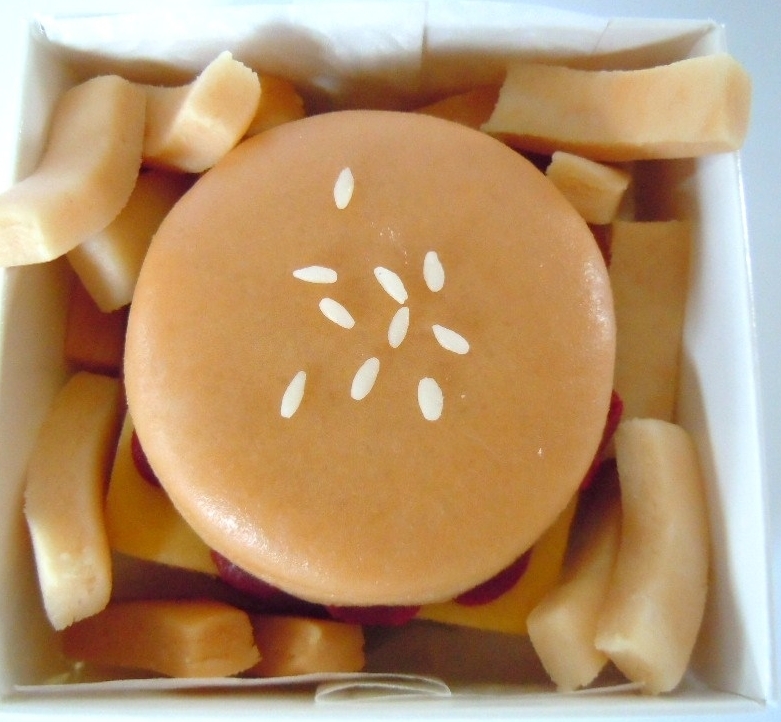 Add "Happy Birthday" or your own short message for the top of the burger bun. If you'd like a candle, just add the option when you order. 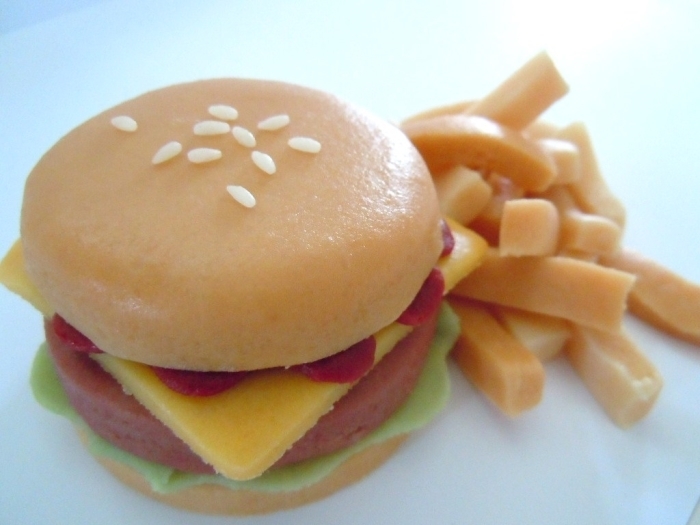 Our Marzi-burger is approximately 8cms in diameter.